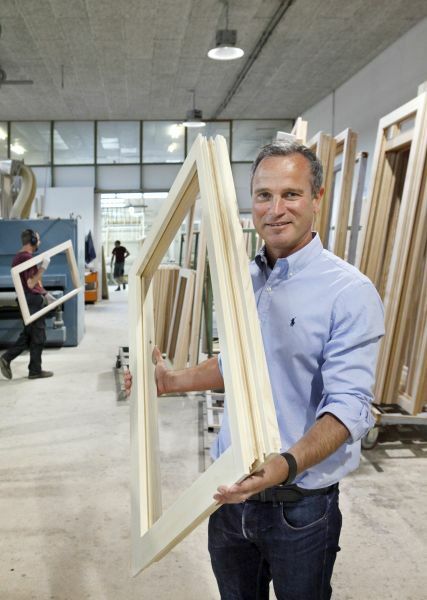 OPTIWIN is an international network of medium-sized window manufacturers and timber home builders. The partners develop, manufacture and market energy-efficient and visually appealing windows, doors and facades. OPTIWIN combines the competence and individuality of a craftsman with the refined art of engineering. All window, door and facade systems are internationally certified, follow a classical design, and can be configured according to individual customer desires. The prestigious Passivhaus Component Award, which the OPTIWIN window systems earned in 2014 and 2015, is proof of their high quality. Product development benefits from extensive experience in the network: Each partner contributes what it can do the best: extensive experience with urban renovations, a certain type of production know-how, or a deep understanding of window design on the coasts, i.e. in humid, salty environments. A professionally structured development process results in optimised bundling of the capabilities of individual companies. The customer benefits twice: from a broad network and from regional proximity of individual companies and their intimacy with building culture.